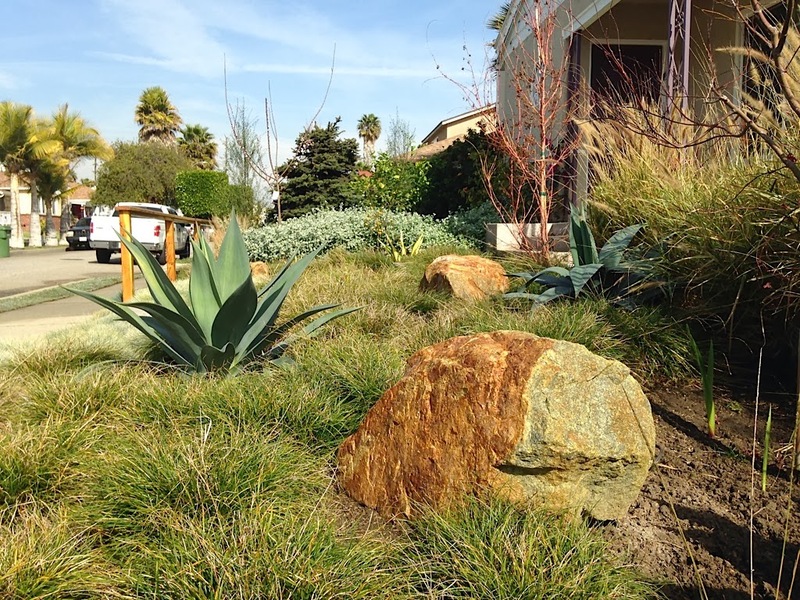 Credit for this garden goes to Bryan Richards of Real Natives, who shaped the owners' vaguely articulated interest in native plants, drought tolerance, movement, seasonality and color into the present landscape. 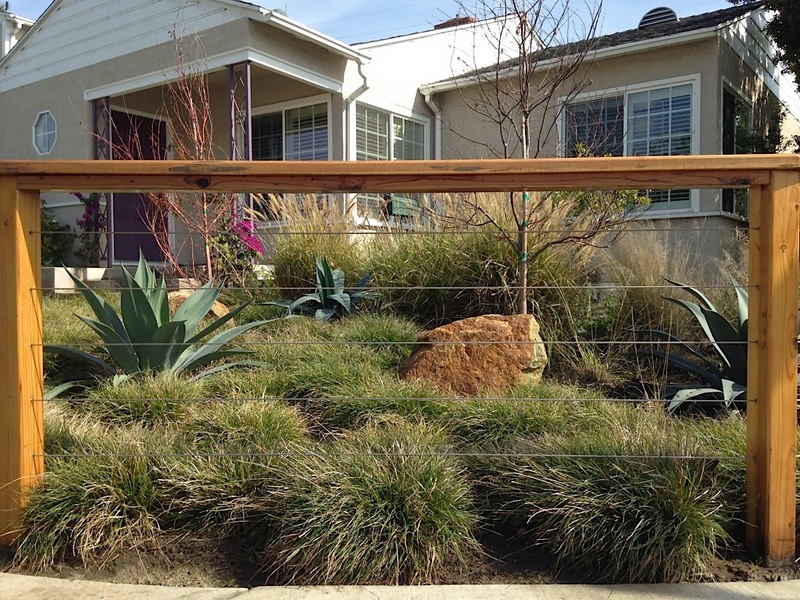 Bryan's design incorporates citrus (Meyer lemon, satsuma and kumquat), Japanese maples, an apricot tree, Mexican sage, aloe, and pittosporum, as well as decorative elements including boulders and a minimalist wood and wire fence. To provide continuity with the previous appearance of the yard, they maintained the Christmas evergreen, which has thrived in its present state for over fifteen years. 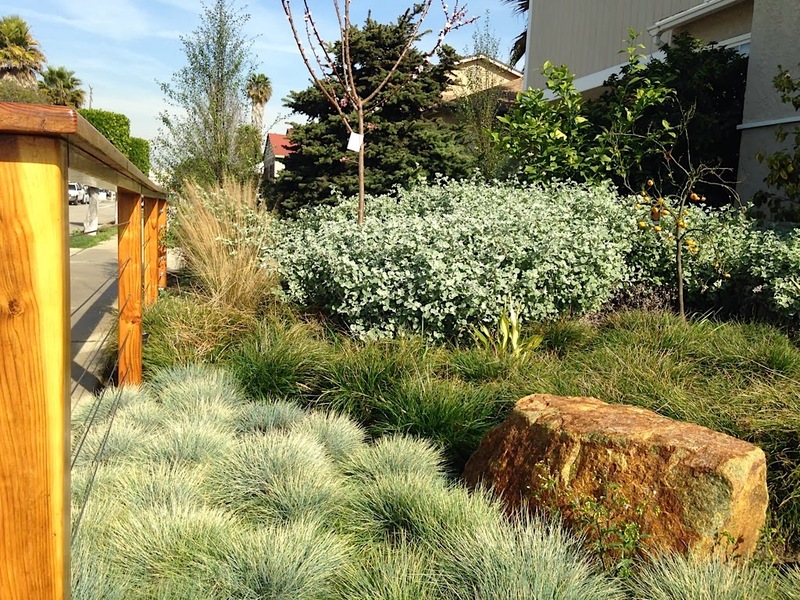 The principal goals were both aesthetic and pragmatic; they now water far less frequently than previously and have minimal maintenance in terms of weeding and trimming. They especially appreciate having replaced the grass on their parkways with dymondia, which has proven both hardy and barefoot-friendly. Dymondia also covers the interstices in their mini front patio. Landscaper Bryan Richards will be at the garden to answer your questions.